Gove began his speech by inviting us to imagine two children (our children): Our son is on his computer, our daughter deeply engrossed in a book. What would delight us more, Gove asks us? If our son was playing Angry Birds or coding? 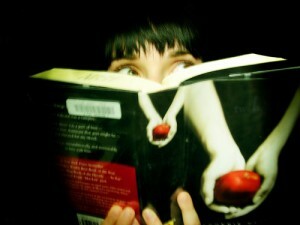 If our daughter were reading Twilight or Middlemarch? And what might we prefer our children to aspire towards? Would we like our son to play pool to meet some new friends or join the cadets? Would we like our daughter to pursue Olympic glory or dream of ‘fame finding her’ on Big Brother? 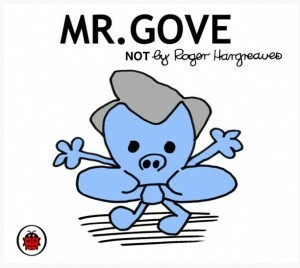 What follows is a lesson in what Gove considers the brightest and the best literature, art, history and culture children should – and need – to be exposed to in their education. Such denigration of texts outside of this ‘Canon’ misses the way people read and how they encounter culture. As others noted, reading Twilight can be enjoyable, can enable young readers to enter discussions about relationships, violence or feminism, and usually leads someone to read other books (or write them). This denigration of particular texts – and by implication those who consume them – as trashy, inferior and lacking any cultural and educational value is gendered as well as classed. These are issues we discussed earlier this week (and, in the case of Twilight, brilliantly captured in this clip from the film Liberal Arts). Gove’s proposed ‘Great Canon’ of ‘transcendent works’ is as narrow as that which he critiques, based on his own educational experience and the curriculum of the private schools he praises as models for state education. This canon is deeply elitist, despite Gove’s claims to the contrary. As The Plashing Vole summarised, ‘Canons are repressive concepts. They tell you what an élite thinks you should know, rather than what everybody read… I’ve no problem with making value judgements – but I do object to people who disguise their value judgements as universal truths. It’s dishonest and oppressive’. Heather also made this point in her recent analysis of the doublespeak in Gove’s speech ‘inspired by’ Antonio Gramsci and Jade Goody. As she stated there, despite positioning himself as a champion for equality and social mobility by widening access to the ‘canons of knowledge’, what emerges is a constant reassertion of elitism by naturalising the practices of privilege by which the ‘best’ and ‘valuable’ in literature, culture and history gets established and fixed as such. Secondly, we take issue with Gove’s broader comment about cultures of ‘low aspirations’ and low expectations which he has set up as the key challenge for education reform. 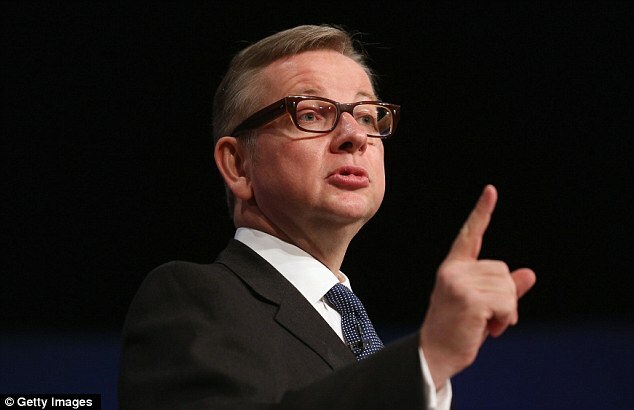 In yesterday’s speech and elsewhere, Gove named his critics – the teaching unions, author Michael Rosen, the whole of the Education Guardian, and the 100 academics who wrote a letter criticising his curriculum reform – as a ‘blob’ of ideologues and Marxists, poor teachers, ‘melancholic’ union leaders and ‘enemies of promise’, ‘invested in the regime of low expectations and narrow horizons’ which holds kids back. In positioning his critics in this way, Gove suggests that his policies for reforming the curriculum and education more generally are instead ‘ideology free’ and driven by ‘truth’. Such ‘truth’ lies in some interesting sources. As this investigation by The Local Schools Network reveals, Gove’s claims about young people’s poor knowledge of history which served as a basis for his redrafting of the history curriculum came from a small scale survey of 3000 people in 2008, commissioned by the television company (yes, that’s right) UKTV Gold. His additional sources included the hotel chain Holiday Inn; a website for London ‘Mumpreneurs’; and the Sea Cadets. But perhaps most interesting was his other key source: the Centre Right think tank Politeia whose advisory council includes a ‘Rt Hon Michael Gove MP’ and which supports free market policies for welfare and education reform. Kim has recently been reading work by Tom Slater on the ‘myth of broken Britain’ which excellently traces the current assault on the welfare state by the Con-Dem government – including drastic reductions in family and child benefit and the pursuit of punitive workfare programmes – to the emergence of the ‘Think Tank’ The Centre for Social Justice (CSJ), founded by the now Work and Pensions secretary, Iain Duncan Smith. Slater argues that changes to welfare have been enabled through the selective use of (mis)information produced by the CSJ, presented as ‘evidence’ that welfare is a lifestyle choice and that inequality is created by family breakdown, cultures of worklessness and dysfunctional behavior – while evidence to the contrary is deliberately ignored by policy makers and politicians. Slater exposes not just flimsy or inaccurate evidence, but purposely rigged surveys used by both the CSJ and lain Duncan Smith to make a case for welfare reform. He calls this ‘decision-based evidence making’, where ‘evidence’ produced by think-tanks and other commissioned research organisations is selectively designed and ‘tailored to fit the needs of policy elites and politicians on the look out for accessible catchphrases to woo a jaded electorate’. Rather than consult social scientists, policy is now increasingly informed by ‘neat sound bites drawn from surveys that measure nothing more than the worldview’ of those that commission them and the ‘false problems’ they have already reformulated. Only last week, the Work and Pensions Secretary was caught out by the UK Statistics Agency for misuse of official statistics to support the Coalition’s benefits cap. Given Gove’s reliance on anecdote and surveys commissioned and conducted by commercial organisations and centre-right think-tanks (on which he sits), Slater’s analysis of welfare policy is easily transferable. By locating autonomous scholarship that critiques his pre-decided agendas for reform as ‘bad academia’, produce by the enemies of promise, Gove sets himself up as the lone ‘voice of reason’. Such deliberate and concerted dismissal of voices and knowledge deemed contentious or disruptive to Gove’s plans for education reform is deeply worrying. Dismissing the critical voices of academics who challenge his reform as holding low aspirations for children is a rhetorical misdirection. The discourse of ‘low aspirations’ among disadvantaged youth, parents and now academics is part of what Bourdieu and Wacquant call the ‘neoliberal newspeak’ disseminated by ‘officials, high-ranking civil servants, media intellectuals, high-flying journalists’ and ‘think-tank experts’. Alongside ‘the underclass’, ‘generations of worklessness’, ‘feral kids’ and ‘feckless families’, the discourse of ‘low aspirations’ becomes a doxa – a common-sense, self-evident truth (see also Steve Roberts and Sarah Evans excellent writing on this). Such ‘screen discourses’ play a central role in the neoliberal refashioning of the state, education and welfare. As Bourdieu and Wacquant state: ‘Lodged in the minds of political or economic decision-makers and their publics’, and ‘ as an instrument of construction of public and private policies and at the same time to evaluate those very policies’. Why such willful ignorance from Mr Gove? Because a focus on individual ‘aspiration deficits’ of young people, their parents or their teachers, allows him to elide the complex lattice of inequalities faced by young people in their everyday lives – many of which are being further entrenched by this government’s policies: daily poverty blighting more and more children’s lives; rising levels of youth unemployment; increasing stratification and segregation in the education system through Gove’s academies and free schools policy; and a narrowing of choice and pathways deemed ‘aspirational’. This limited view of ‘appropriate’ aspirations, combined with Gove’s narrow conceptualization of ‘knowledge’ and an ‘educated person’, sorely misses the range of capacities, passions and aspirations that young people hold, setting up a hierarchy in which only some skills, knowledge, subjects and futures get recognised as worthy and legitimate – those that fit with neoliberal capitalism and follow the same educational pathways and experiences of the ruling elite. Further, such a focus on the individual orientations of young people to those futures deemed by this government to be ‘aspirational’, fails to contend with the more significant issue of why young people from disadvantaged backgrounds might not find the places preserved for the privileged and elite ‘desirable’, let alone accessible – something Kim has discussed elsewhere. This week we’ve been speaking to young people about their different hopes for the future – these included going to university but also things like being happy, having a nice place to live, and just having enough to get by and support a family. Hearing their sense of frustration that many of these ‘modest’ hopes may not be attainable in the current climate, we can’t help but feel filled with anger about Gove, this government, and capitalism more generally for the way it manhandles, regulates and stamps on people’s dreams. Perhaps Gove is wrong but as it stands by preparing my students to understand our cultural heritage, whether it be Middlemarch or the poems of Horace, I am giving them access to literature which they would not necessarily choose off the e- bookshelves of Amazon. Amazon and the bookshelves of Waterstones tout contemporary best sellers as well as books which I would already be interested in based on my narrow buying habits. If education is about breadth, then Amazon and the best sellers list is about profits and repeat sales on the basis of narrow and pre-defined interests. Even if we suggest people will somehow magic upon literature they do not know exists, thereby spontaneously broadening their own horizons, I am still happy to teach challenging texts which require thought and enagagement rather an ability to understand the 5 word sentences of Dan Brown. 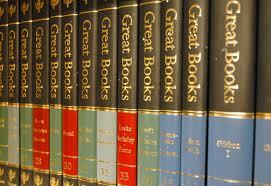 The reason I am happy to do this is because I know that I am broadening their reading ability. Conspiracy theorists who suspect that the man is keeping them down and the best paid jobs are only open to those with knowledge of a secret hand shake but no talent are guilty of undermining and underestimating the length of time and commitment it takes to become proficient in interpreting a challenging ‘canon’. Length of time and commitment are generally recognised by those with good sense on both the right and the left as being worthwhile qualities in every walk of life. I’d rather my doctor had had to struggle hard with some of the more esoteric elements of medical training than had read The Bluffer’s Guide to Medicine. When and how it ever seems intelligent to challenge what is challenging I do not know. For so long as I am an educator I will teach my students skills that take years of practice, commitment and dedication to excel at rather than providing them with easy-to-read off the shelf diplomas, not least of all because to do so is mind expanding rather than mind limiting, is aspirational rather than desperational and is a philosophy based on potential rather than the lowest common denominator. To play Rachmaninov takes longer to learn than the riff from Nirvana’s Teen Spirit. Relativists may say that both types of music are worthwhile, and I’d agree, but only a fool would say both types of music require equivalent proficiency to both play and appreciate. I want to teach my students things which are not easily appreciable, otherwise there’d be no point teaching them. It’s easy to call someone an elitist if they are promoting something known by a few but if they are attempting to offer everyone access to their skill sets, even if they have traditionally been the preserve of the public schools, then say thank you rather than no thanks.